I've noticed a big change in my clients’ attitudes toward retirement since becoming an advisor 30 years ago. Yesterday’s clients saw retirement as the reward for having dedicated years of their life to a company. These people usually had pensions which would pay them for the rest of their lives, which eliminated much of the financial anxiety of losing a paycheck. I was often amused by their stay-at-home wives – who spent years being the de facto Queens of the house – expressing concern over having their husbands around so much. Many of yesterday’s retirees were concerned about how they would spend their time, having developed few hobbies and interests over the years. And sadly, many of them were unimpressed with their retirement, while others didn’t live to the ripe old age they had hoped. Today things are different. People are living healthier and longer lives, and are keenly aware of the many years they may spend – including many active years – following their retirement. 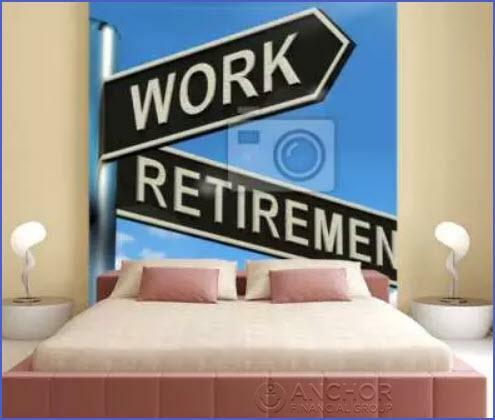 For most, retirement is no longer seen as an abrupt change in life, but as a transition period. My clients approaching retirement have a much better idea of what they’ll be doing in retirement, which often involves part-time work consulting in a field similar to the one they retired from. Some even consult for the same company they worked for! Others get involved in volunteer work. Most will tell me they enjoyed their jobs, but just prefer to work less and have more flexibility. When it comes to money, the additional pay helps them financially ease into their later years, especially if they aren’t receiving a pension. The additional money also helps pay for the extra years they likely will live, allowing them to delay their social security. And the wives? They often are retiring after their husbands! These couples have already spent years working outside the home and sharing responsibilities in the home, and aren’t so concerned about how they’ll manage their “new” relationship within the household. I recently came across an interesting article which describes this new retirement strategy as"Work a Little, Play a Little."